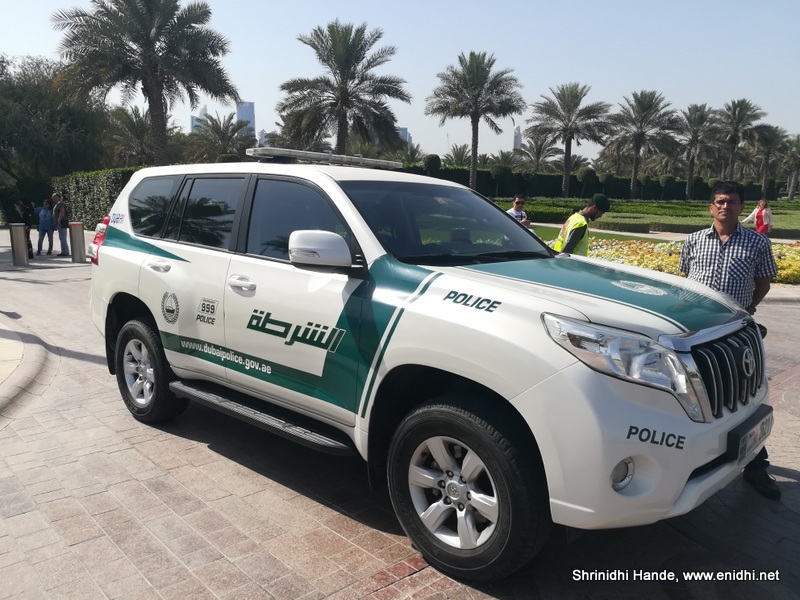 Home / Automobiles / Travel and Living / UAE / Dubai Police and their fleet of ultra luxury cars! 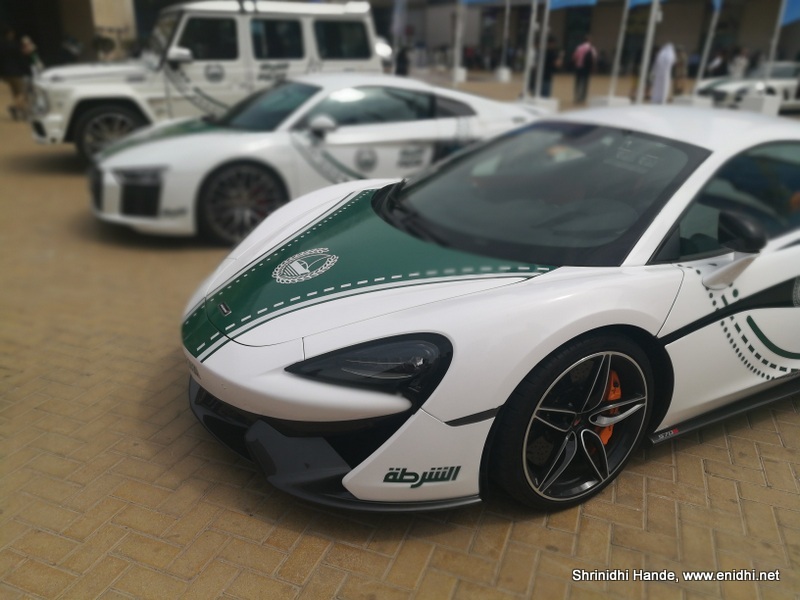 Dubai Police and their fleet of ultra luxury cars! 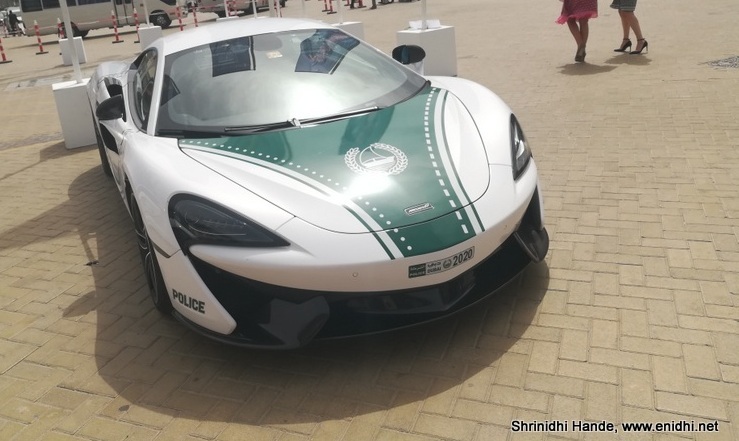 Dubai Police is probably the only police force in the world with a large fleet of ultra luxury cars, used primarily to impress visitors. 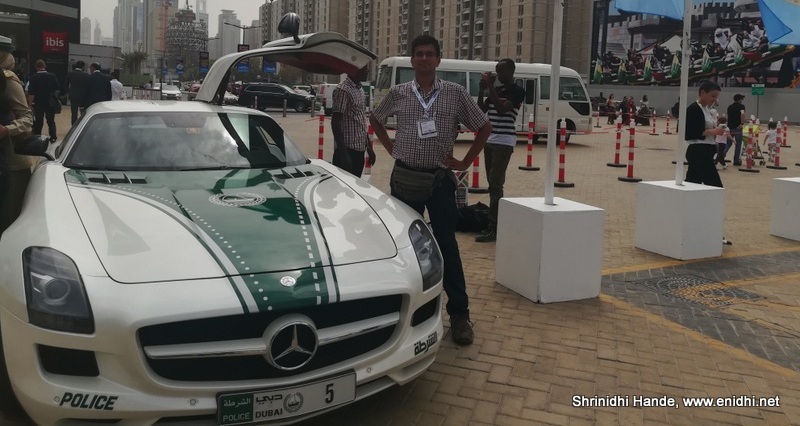 During my short visit, I could see many of their ultra luxury cars. This post shares a few photos and related information about the luxury cars used by Dubai police. McLaren 12c comes with a 3.8 litre, twin turbo V8 engine, capable of reaching 100 kmph in mere 3.3 seconds. Its top speed is 329 kmph, thanks to its 625 PS engine and massive 600 NM torque. 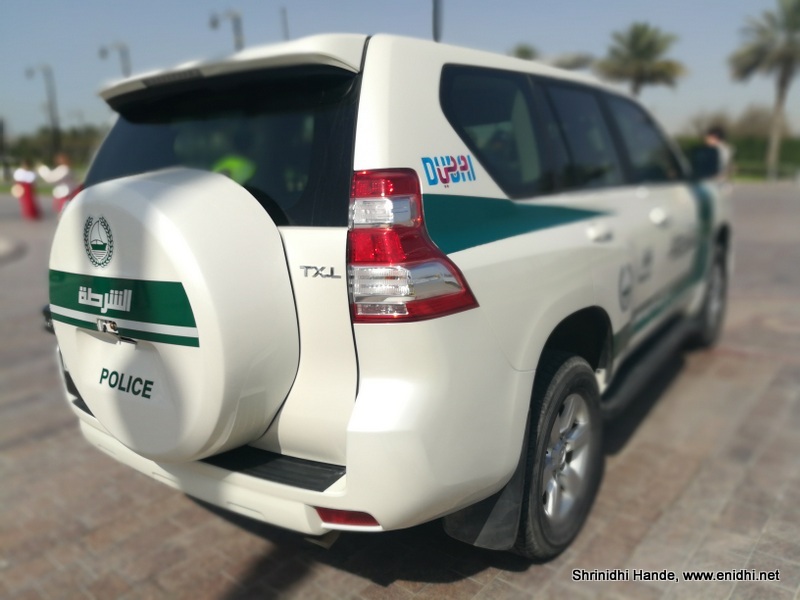 Don't ask about fuel economy- Dubai police don't care! SLS gets scissor doors- doors that open towards. 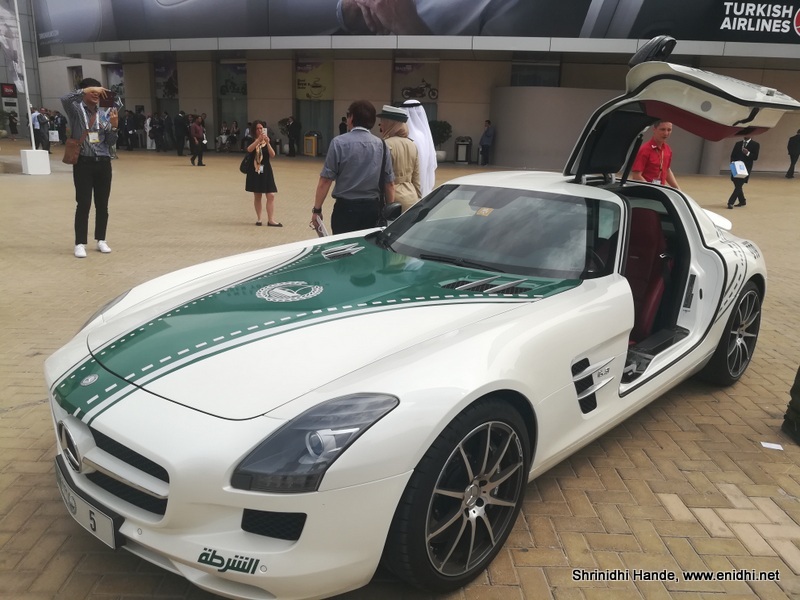 SLS AMG is popular for its scissor doors that open upwards. But unfortuntely doesn't look like these doors are powered. 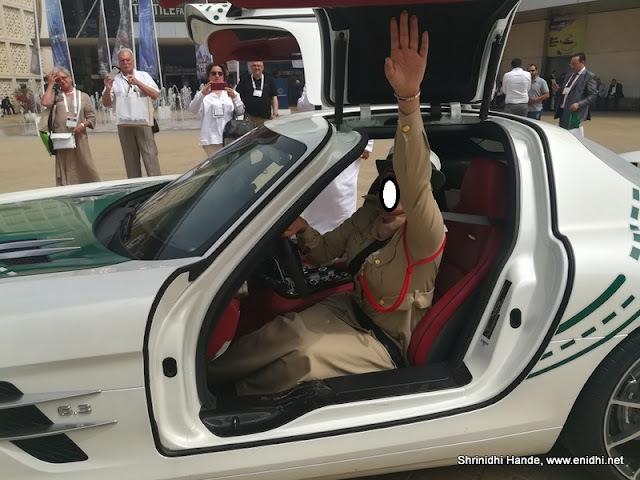 The policewoman who was driving this car couldn't reach the door while seated- as she looked for some help, I had the honor of helping her close the door. While above one was AMG, looks like below one isn't.. I also saw a few more- Chevy Camaro muscle car but couldn't photograph. 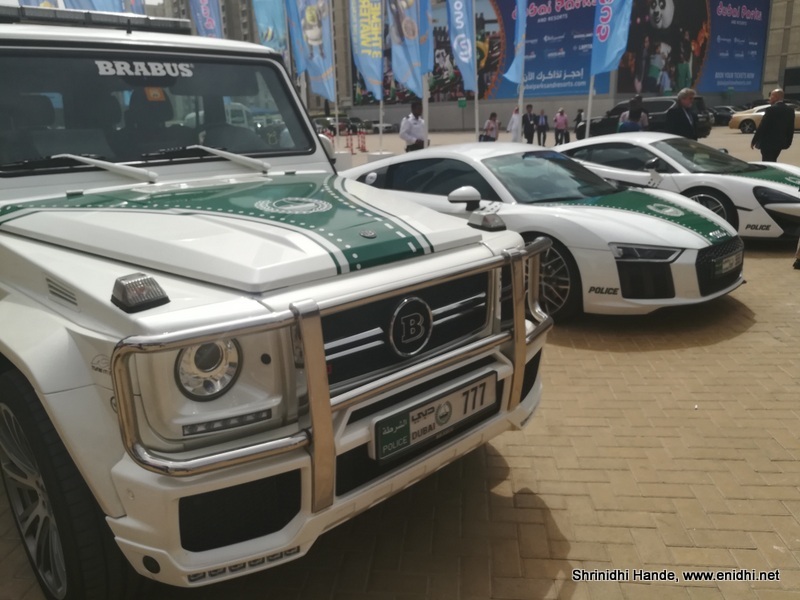 Their fleet also includes Bentley Continental GT, Aston Martin, Bugati Veyron, Lamborghini Aventador and many more- hopefully I will spot them next time. Some joke that these luxury cars are a recruitment drive Dubai Police! Anyway Dubai authorities are always keen to do something unique and set a record in anything they do- Everything in Dubai needs to be world's biggest, tallest, longest, best etc. These luxury cars definitely fit well into that line of thought and a desire to excel. Best wishes to Dubai Police. 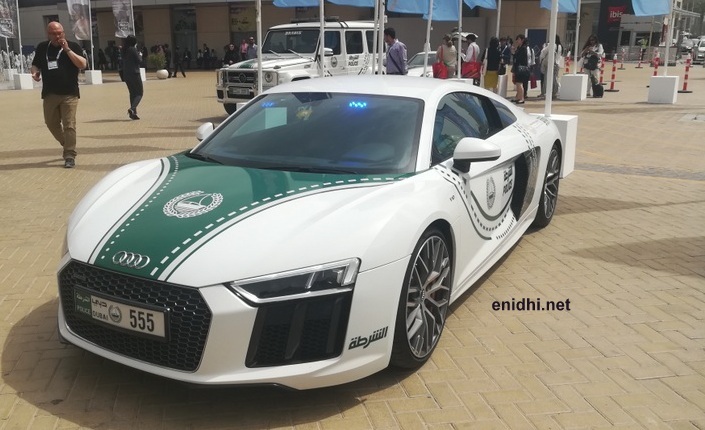 Where to find these luxury police cars in Dubai? 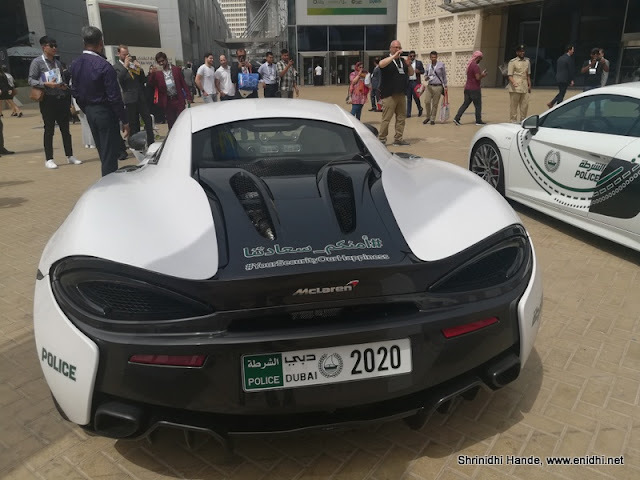 - Identify the most important event in the city and go there during peak hour- you will surely be able to spot a few of these cars there. I spotted many of them at the entrance of Arabian Travel Mart event in World Trade Centre. 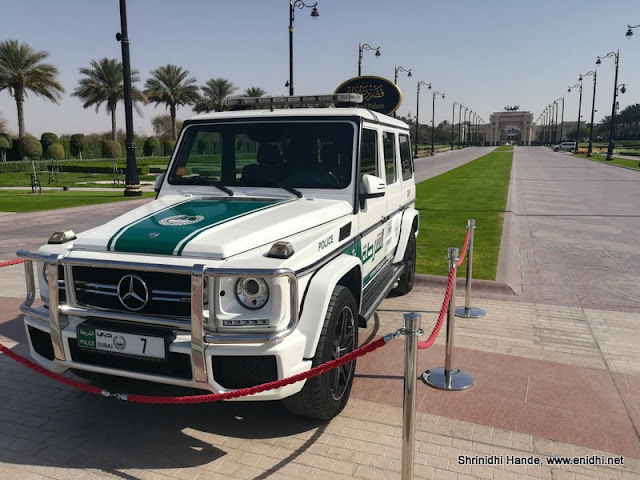 - Keep an open eye when visiting the most popular tourist attractions in Dubai- in all probability a few of these will be around. Wow! They are so lucky!